The Mets are on the brink of acquiring Robinson Cano and Edwin Diaz from the Mariners, according to The Athletic. 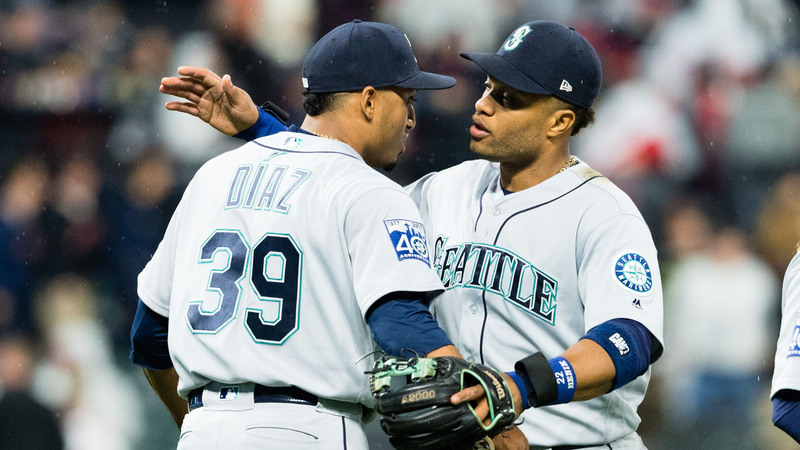 #Mets-#Mariners blockbuster involving Cano and Diaz is close, sources tell The Athletic. No announcement expected tonight, possibly tomorrow. The deal is not expected to come tonight, but it’s possible that it will tomorrow. There have been a lot of possibilities thrown out with this transaction, but the Mariners have reportedly asked for the Mets’ first-round pick from a year ago in Jarred Kelenic and another first rounder in Justin Dunn. Rookie of the Year candidate Jeff McNeil had been tossed out as a possibility, but he is reportedly no longer included in the deal. According to MLB.com, as the deal stands now, the Mariners would receive Kelenic, Dunn, Gerson Bautista, Anthony Swarzak and Jay Bruce for Diaz and Cano. Its getting late. Feel good about my reporting but not my typing. As just said on @SNYtv, deal right now is: Cano and Diaz for Bruce, Swarzak, DUNN, Kelenic and Bautista. I forgot to type Dunn in last tweet so I’m deleting it. It is also likely that some money will change hands in the deal. Cano has five years remaining on the 10-year, $240 million contract he signed with the Mariners in 2014. The Mariners may have to cover some of that money to get the deal done.